Pursuing Ph.D.in Law on the topic "Dynamics of Fiscal Federalism under Indian Constitution" under the guidance of Prof. Dr.M. Gandhi- Dean, VIT School of Law, VIT Chennai Campus. 1)Participated and Presented a paper on " Challenges before the 15th Finance Commission- Upholding Fiscal Federalism" at the International Conference on Public Organization VIII (ICONPO VIII, hosted by VIT University, Vellore in collaboration with Asia Pacific Society for Public Affairs (APSPA), Indonesia. 2)Participated and Presented a paper on �POPULATION AS A CRITERION FOR HORIZONTAL DEVOLUTION: CHALLENGES BEFORE THE 15TH FINANCE COMMISSION" at the National Seminar on Centre-State Relations in India, organised by Department of Law, School of Legal Studies, Central University of Kerala, (Thiruvalla Campus). 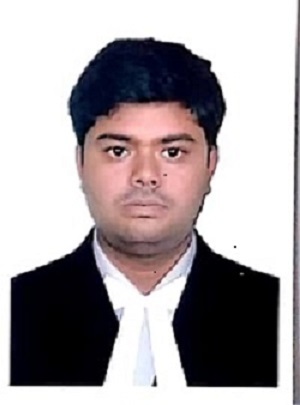 3) Participated and Presented a paper on �ROLE OF LOK ADALAT IN REDUCING THE BURDEN INDIAN JUDICIARY- CRITICAL STUDY� at the National Conference on Alternative Dispute Resolution in India: Issues and Challenges held in VIT School of Law, VIT University, Chennai. 4) Participated and Presented a paper on �THE STUDY OF CHANGING DYNAMICS OF CENTRE-STATE FINANCIAL RELATION, THE NEED OF THE HOUR� at the International Conference on Women Entrepreneurship, E-Commerce, Management, Law, Gender Studies, Humanities & Social Science, 2017 organised by International Multidisciplinary Research Foundation, Goa Chapter. 5) Participated and Presented a paper on �RIGHT TO PROPERTY AND COMPENSATION UNDER THE INDIAN CONSTITUTION� National Seminar on Concept of Property and Law: New Developments, published by Department of Legal Studies, University of Madras, Chennai. 6) Acted as a resource person and presented a paper on �Centre-State Financial Relations in the Context of GST� in National Seminar of Goods and Service Tax organized by VIT School of Law on 28th Feb 2017. 7) Participated and presented a paper on �Consumer Protection and Medical Negligence- An Overview� in two days seminar on �THE IMPACT OF LAW ON HEALTHCARE DELIVERY� conducted by the Sankara Nethralaya Academy, Chennai. 1) Attended one day workshop on �WORKING OF CRIMINAL JUSTICE IN INDIA� organised by M.S.Ramaiah College of Law, Bangalore. 3) Attended the one-day national workshop on "Getting your research idea published" organised School of Advance Science, English Division, VIT Chennai. INTERNATIONAL LAW 2017� held from 7th to 9th April 2017 at VIT School of Law, VIT University- Chennai.